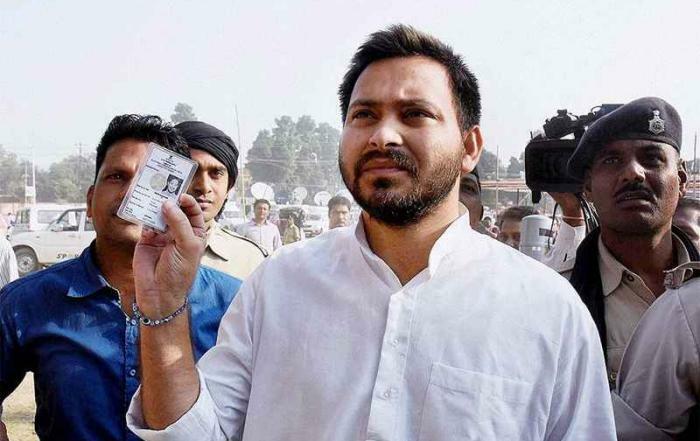 Lalu Yadav's son Tejashwi Yadav won the Raghopur seat this Bihar polls. According to NDTV, the younger Yadav is now all set to be the next Deputy Chief Minister of the Nitish-led government in Bihar. "The newly elected MLAs authorised me to nominate the leader of RJD legislature party today. I will take a decision," RJD chief Lalu Prasad had told reporters on 13 Novemeber after a meeting, Economic Times reports. Interestingly, RJD, the Yadav family's party, won 80 seats in the 243-member state assembly, making it the largest party after the poll results. Looks like the new Bihar government is truly going to be a Grand Alliance. "Laluji's son Tejashwi Yadav is likely to become leader of the RJD legislature party. But, the party chief wants to nominate him only after holding talks with party's senior leaders," a source in the RJD confirmed to ET. While one is yet to see if Tejashwi bags the seat, the scales do tip in his favour. Did you spot this UFO in Astronaut Scott Kelly's photo of South India?